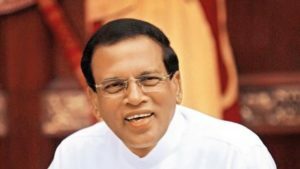 Transnational Government of Tamil Eelam (TGTE) alerted UN General Assembly members and journalists that Sri Lankan President Maithripala Sirisena, who is scheduled to speak to the UN General Assembly on September 25, is a war crime suspect. The alert sent out by TGTE outlines Sri Lankan President Sirisena’s military command responsibility when he served as the acting defense minister five times during the height of the War, including final two weeks of the war that ended in May 2009, when approximately 70 thousand Tamils were killed and hundreds of Tamil women were sexually assaulted and raped by the Sri Lankan Security Forces. (Source: UN Internal Review Report on Sri Lanka). TGTE urges UN General Assembly members to raise these allegations to the Sri Lankan President during receptions and dinners. TGTE also urges journalists who are members of the UN Correspondent Association (UNCA) to question President Sirisena while he visits the UN General Assembly on Sept. 25th. President Sirisena has admitted that he was the acting defense minister during the war when large numbers of Tamils were killed, including thousands who surrendered. The surrendered also included several babies and children. Almost 10 years have passed since their surrender and they still remain disappeared. 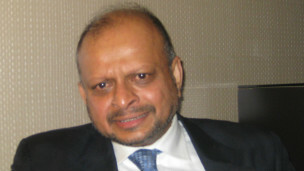 It was also during President Sirisena’s time as acting defense minister that Sri Lanka rejected appeals by several world leaders to stop shelling and bombing an area designated by the Sri Lankan Government as a “No Fire Zone.” The Sri Lankan Government created this “Safe Zone,” and urged Tamils to assemble there for safety. When thousands of Tamil civilians arrived, Sri Lankan Security Forces bombed and shelled the area and killed tens of thousands of people. “Sirisena is hardly a beacon of hope for the Tamils: he was acting as defence minister in the nightmarish final fortnight of the war,” the Economist wrote.